Expungement attorneys are trained in expungement law and know that getting your record expunged is important and can have a lifelong affect on you. An expungement attorney will make sure the job is done right and, what may be your only chance, is not blown. An expungement attorney can handle objections from the District Attorney and go to court on your behalf to answer questions from the judge. Getting the right attorney can be the difference between success and failure. Norman J. Gale, Jr graduated from the University of South Alabama with a degree in Criminal Justice Administration and then from the University of Alabama with a law degree in 1978 and received a Bronze Star medal in Vietnam. Melissa Clark has handled more than 1,00 successful criminal record clearing cases. The law firm where she works has an “A+” rating with the Better Business Bureau for 6 straight years. Arkansas Expungement Attorney-Rosalyn Watts Serving the legal needs of Arkansans for over 10 years. Specializing in expungements, criminal appeals, and car accident claims. Mathew Higbee has handled more than 5,000 successful criminal record clearing cases. His law firm has an “A+” rating with the Better Business Bureau for 6 straight years. Higbee helped define California’s expungement law. His law firm offers money back guarantees and low price guarantees. Licensed Colorado Record Sealing and Expungement Attorney. Melissa Clark has handled more than 500 successful criminal record clearing cases. The law firm where she works has an “A” rating with the Better Business Bureau for 4 straight years. Douglas N. Fox is Gwinnett County’s premier Lawrenceville criminal defense attorney who is dedicated to helping clients fight their criminal charges. The Law Offices of Brian R. Barjenbruch, L.L.C. If you need help or have questions regarding an expungement in Kansas, contact Law Offices of Brian R. Barjenbruch who can provide you with the legal help you need. Kentucky expungement attorney. Serves all of Kentucky. Bar Licensed Lawyer in Kentucky, Ohio and Tennessee. We are a boutique law firm focusing primarily on clearing of criminal records through expungement, sealing and Governor’s pardons. For more than fifteen years, the law firm of Frederick J. Brynn, P.C., has been providing experienced and effective criminal defense representation for people facing felony or misdemeanor charges in Washington, DC and Maryland. New England Law Firm Dedicated To Record Expungement & Clearing Your Criminal History. We specialize in clearing your criminal history! This includes; Convictions, Dismissals, Arrests, and Plea Bargains. Michigan law allows a person to clean up their record in various different ways so that the person can move forward with their life and take advantage of opportunities in the future. If you need help or have questions regarding an expungement in Missouri, contact Law Offices of Brian R. Barjenbruch who can provide you with the legal help you need. Minnesota allows expungement of criminal records under limited circumstances. If you expunge your records, the court completely seals its records from public view and allows you to honestly say that you have not been convicted of a crime. Nevada offers remedies designed to help deserving people be more productive and get more out of life. Whether the offense was as a juvenile or adult, felony or misdemeanor, Nevada offers ways for you to make it easier to find a good job and put the past behind you. New Jersey allows for the expungement of a wide range of offenses under certain circumstances. 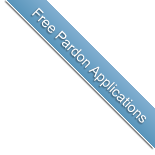 The waiting periods for expungement in New Jersey vary depending on whether you were charged or convicted. For convictions, the waiting period will vary depending on the classification of the offense. The experienced Oklahoma expungement attorney Michael Risley 405.801.2116 can assist in having your criminal records permanently expunged. Our attorneys have performed hundreds of expungements over the years. If you would like more information concerning an Oklahoma expungement contact us online or call us at 405.801.2116. Expungement of an Oregon criminal record is a great investment for anyone who is eligible. Our law firm will make sure that your investment in expungement is maximized and that you get the most complete relief possible, including clearing your record from background check companies. If you have ever been arrested or charged with a crime in Pennsylvania, the record of your arrest stays on your permanent criminal record. 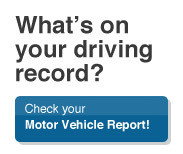 If you want to remove this potentially embarrassing information from your record you must have it expunged. Pennsylvania allows expungement of criminal records, under limited circumstances. If you expunge your record, the court completely removes all records of the offense so that there is no trace of its existence. Slepkow, Slepkow & Associates, Inc.
Slepkow, Slepkow & Associates is a Rhode Island (RI) law firm with six lawyers covering a full array of practice areas, including Real Estate Law, Divorce & Family law, Personal Injury, Estate Planning, Elder Law, Probate Law, Business law and Criminal law. The Law Offices of Nathan Moore is a Nashville criminal defense firm prepared to defend you no matter what the charge. Texas has many remedies for those seeking to clear their criminal past. A clean record can me greater job opportunities and an improved quality of life. Texas offers setting aside, order for nondisclosure and expungement. Above is a list of what we believe are some of the best expungement attorneys in the country. To be on our best list, you must have a site dedicated to expungement and extensive experience handling expungement cases… and a commitment to providing the best possible expungement results.